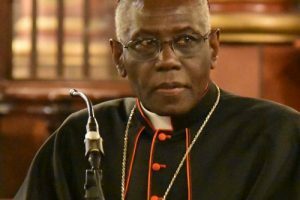 September 24, 2018 (LifeSiteNews) – Pope Francis told Cardinal Gerhard Müller in 2013 to stop investigating abuse allegations against British Cardinal Cormac Murphy-O’Connor, according to a highly-placed Vatican source who spoke to Marco Tossati. Murphy-O’Connor, as a member of the “Sankt [St.] Gallen mafia,” played a pivotal role in getting Jorge Bergoglio elected Pope in 2013. As Tosatti puts it in an article for First Things last year: His secretary joined him at the altar: “The pope wants to speak to you.” “Did you tell him I am celebrating Mass?” asked Müller. “Yes,” said the secretary, “but he says he does not mind—he wants to talk to you all the same.” The cardinal went to the sacristy. The pope, in a very bad mood, gave him some orders and [sic — “and” should be replaced with “about”] a dossier concerning one of his friends, a cardinal. Cardinal Murphy-O’Connor died on September 1, 2017, a year ago, without ever seeing a proper investigation of these charges. Murphy-O’Connor, then bishop of the Diocese of Arundel and Brighton, had appointed Hill in 1985 and made him chaplain at Gatwick Airport. Hill then was charged with abusing a teenager with learning difficulties who had missed a flight and was visiting the airport’s chapel. As later reports showed, Murphy-O’Connor had been warned by therapists that Hill would be abusive again. Murphy-O’Connor accepted that the diocese should pay compensation to those victims of Hill, but requested their silence on the matter of their abuse. Murphy-O’Connor had also been accused of trying to pay hush money to Father Hill – some £50,000 to buy his silence when he was released from prison. Murphy-O’Connor “utterly” denied that claim. It was said that a junior bishop made the offer on his behalf during a visit to Hill’s Belmarsh prison in London. Another sign of the cardinal’s indulgent leniency toward child abusers is the case of Father Tim Garrett. Fr. Garrett, then a priest in the Portsmouth diocese, was convicted, according to media reports, of taking indecent photographs of boys in the 1980s. Following the advice of a risk assessment showing that Garrett would not be dangerous, Cardinal Murphy-O’Connor allowed him to transfer to his own Diocese of Arundel and Brighton. He later regretted that permission, just as he apologized for his mishandling of the Hill case. 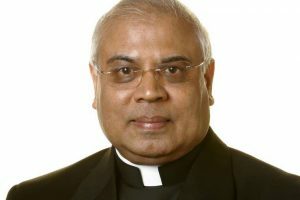 In 2011, according to our English source, the Diocese of Portsmouth, together with the Diocese of Northampton, contacted the Congregation for the Doctrine of the Faith, then under Cardinal William Levada, in order to request an investigation of the claims of that female victim by Rome and to protest Westminster’s refusal to follow the national safeguarding protocols. It was then Charles Scicluna, today the Archbishop of Malta, who requested that all the files from England be sent to him in person. A person from the Diocese of Portsmouth flew to Rome and delivered the files to Scicluna. It is understood that he began an investigation. However, in 2012, Scicluna became the Auxiliary Bishop of Malta and was thus removed from the Murphy-O’Connor case at the CDF. 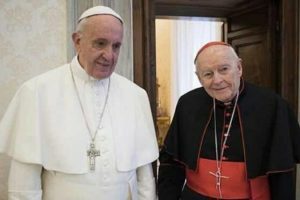 It was then Monsignor Robert W. Oliver who, after the departure of Monsignor Scicluna, met in 2013 with one of the English bishops in Rome in order to discuss the matter. Those within the Catholic Church in England who support this victim’s cause argue that, independently of whether this lady speaks the truth or not, the Church must follow her own rules as they are now set up. That means that the accused clergyman should first be withdrawn from the exercise of his office, and then an investigation should be started. Depending on the result of the investigation, when it is completed, the accused clergyman is to be either reinstated or punitively removed. The protocols make no distinction between the treatment for a priest or deacon and that for a bishop or a cardinal. So, based on the revelation from Marco Tossati’s source in the Vatican, it would seem that Bergoglio, after his election, especially thanked Murphy-O’Connor by telling Cardinal Müller to halt the investigation against him. As of this date, the abused lady’s complaints have never been thoroughly investigated, neither in England, nor in Rome. And with the help of Tosatti’s own report, we now know some of the reasons why. Similar to McCarrick, Murphy-O’Connor is known to have later speciously shown himself to the public as being a hardliner with regard to abuse cases. “Roman Catholic bishops found to be flouting the new guidelines on child protection will be held to account, or expected to resign,” is the headline of a 2003 article quoting Cardinal Cormac Murphy-O’Connor. However, as with the McCarrick case in the U.S., the truth is now gaining upon the Church’s hierarchy that has been evasively looking the other way. This report was consciously published on September 24, the Feast of Our Lady of Walsingham – Patroness of the Catholic Church in England – and on the day of the beginning of the English bishops’ Ad Limina visit to Rome.